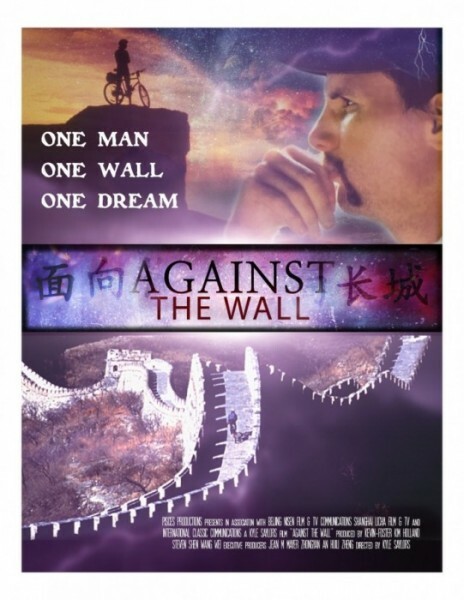 AGAINST THE WALL is an award-winning, true-life, inspirational documentary about Kevin Foster, who despite being electrocuted by a high-tension wire as a child and told by doctors he would never walk or talk again, became the only person allowed by the Chinese government to ride a bicycle atop the length of the Great Wall of China from the Gobi Desert to the Bohai Sea. In recognition of this daring feat, he won the 1990 Cyclist of the Year Award over Greg LeMond, who had just won his third Tour de France. U.S.-China co-production. Short documentary (39-minutes).